I was fortunate to time my trip while the autumn leaves glowed in Utah's high country while the days became shorter last week. 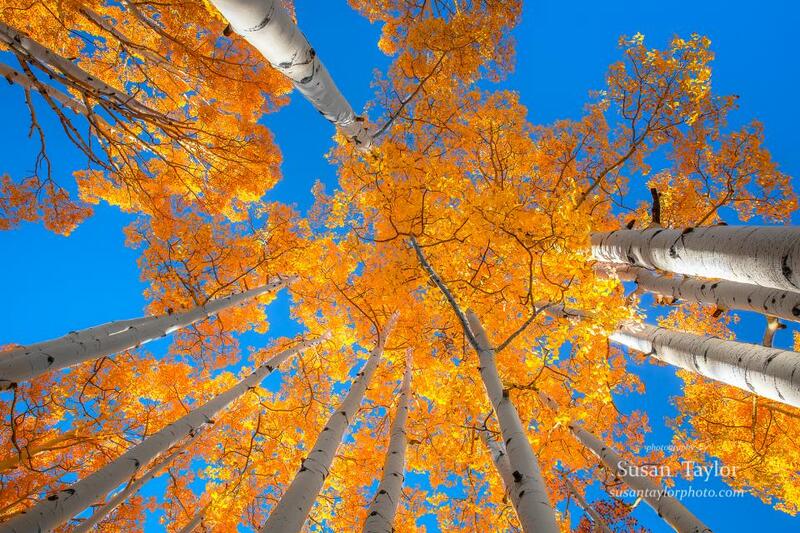 There were remarkable massive colonies of beautiful quaking aspen trees spread out over more than 100 acres in Utah off of Hwy 12. Incredible fall colors were so abundant! This single photograph was hand held while titling backwards and shooting straight up. Please remove my image. It is pixelated due to the wrong image size. Thank you.